Four assistant referees from the Professional Referee Organization have been added to the FIFA panel for 2017. Oscar Mitchell-Carvalho joins four other Canadian PRO officials on the FIFA roster, while Apolinar Mariscal, Eduardo Mariscal and Ian Anderson have been elected to the panel as United States representatives. 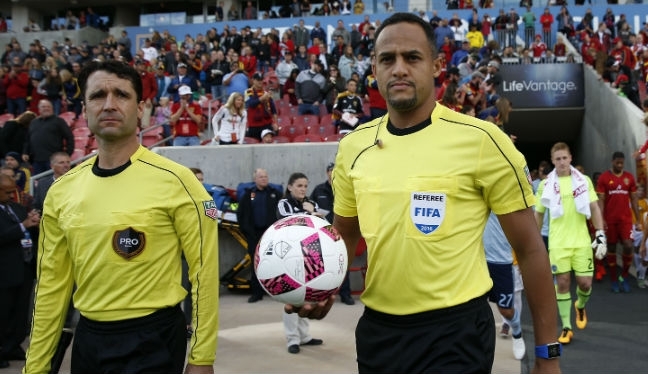 The Mariscal duo aren’t the only relatives on the roster, with Anderson’s inclusion seeing him join twin brother Frank, who has been a FIFA AR since 2012, as a U.S. Soccer international official. Long-serving FIFA referees Jair Marrufo and Baldomero Toledo retained their place on the panel, which they have held since 2007 – the same year in which CJ Morgante, Corey Rockwell and Adam Wienckowski were chosen to represent the United States. The Canadian Soccer Association’s (CSA) longest-serving members are assistant refereeing duo, Daniel Belleau and Joe Fletcher, with the latter running the line at the 2014 FIFA World Cup.